The weekend is upon us, and the football will be coming thick and fast. Tomorrow morning we kick things off with a little Liverpool v Chelsea treat and the weekend is capped off off with some MLS Playoff action. And somehow, someway, I have to manage a way to watch as much of it as possible and NOT have my wife divorce me. I just keep reminding her we’re only a few weeks away from the end of the MLS season, and that seems to be working… for now, at least. Also, a huge FYI. 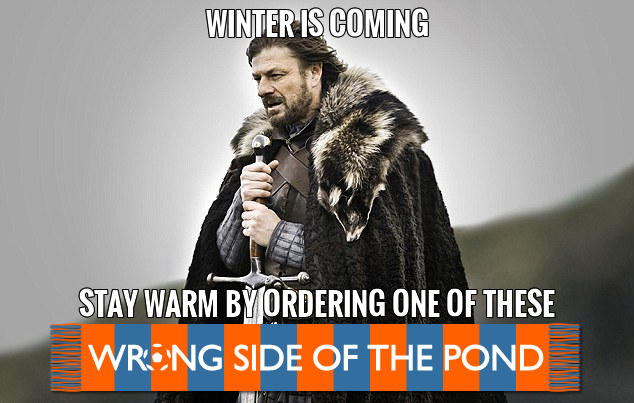 That official WSOTP scarf pictured above that still remains on pre-order? Yeah, we’re dropping the price. They’re now just $18. That’s two whole dollars we’ve lumped off the cost to encourage you to buy one. (If you ordered one earlier, worry not, you’ll be getting some money back.) We’ve also added an options for picking up the scarf from me personally so you don’t have to pay for shipping. And for those who have been concerned that WSOTP is getting rich off of your purchases, all profits go right back into the site — hosting, domain registration, and podcasting equipment isn’t free and has come directly out of my pocket for the last 5 years. So your moneys will be utilized to continue bringing you the wonderful content you’ve come to know and love. Plus it’s getting cold out again, and we want you to stay warm. So click here to buy one, please! Once your done with that, feel free to check out some of my favorite links from around the interwebz from the last week and a half.